When it comes time to purchase a wedding ring set, you’re probably thinking about budget as much as the look of the rings themselves. You don’t want to go into debt by paying too much for a set you can’t really afford. However, you can avoid the stress of searching high and low for an affordable diamond wedding set. How? Well, the best wedding ring set may not even be a diamond at all. If you’ve been dreaming of having a ring set with a lot of sparkle and shine, you may want to consider moissanite gemstones. Moissanite actually boasts more brilliance (the total amount of light that is reflected by a gem) than a diamond! And, despite their similar overall look and superior brilliance, Moissanite gemstones are much more affordable than diamonds. 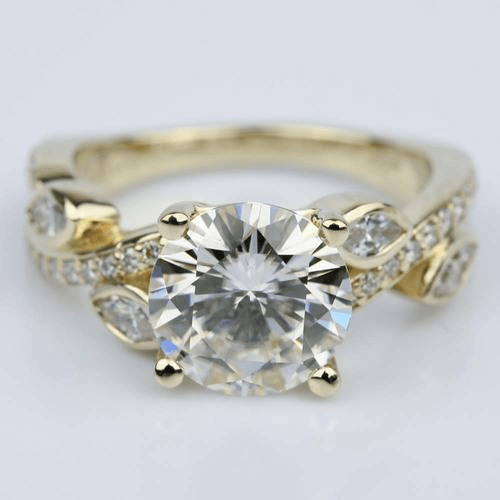 That’s why a moissanite wedding set is a terrific option for brides on a budget—you can pay the price you want without sacrificing beauty or style. If you’re considering a moissanite wedding set, you probably have a few questions. After all, moissanite gemstones are not as well known as diamonds. Here’s your chance to learn! 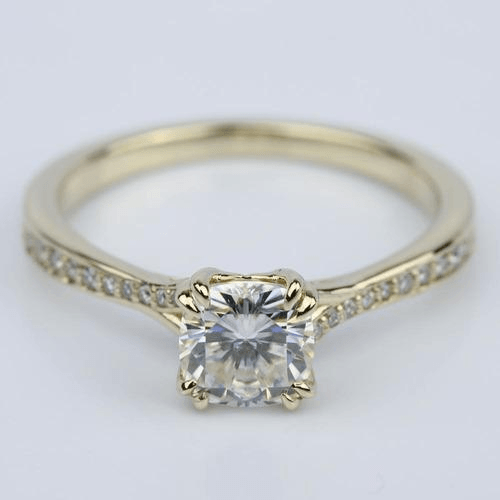 You may be wondering, is a moissanite gemstone just a fake diamond? Not at all! While some jewelers unscrupulously sell fake diamonds as if they were the real thing, moissanite gemstones are not “fake diamonds”. They are an entirely different type of gem that are similar in appearance to diamonds. Calling moissanite gemstones “fake” diamonds is sort of like labelling sugar as “fake” salt. Sugar and salt are just different on a chemical level, even though they have a similar appearance. When considering which to buy, you just have to know your goals and requirements. Moissanite was first discovered in 1893 by Henri Moissan, a Nobel Prize winning chemist from France, who thought he had stumbled on diamonds while exploring a large crater in Arizona. Moissan was certain the gems he collected from the crater were diamonds… until he put them under a microscope. It was then he realized the gems he found were made out of silicon carbide, meaning they were fundamentally different from diamonds on a chemical level even though they looked extraordinarily similar. Fast forward a century later, the gems Moissan discovered are now named in his memory and have emerged as a popular alternative to diamonds in many contexts. 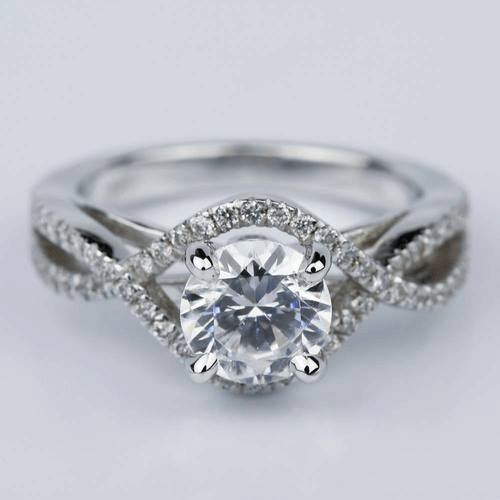 This is largely because moissanite reflects more light back to the human eye than diamonds themselves. There are a few other important differences between moissanite and diamonds. 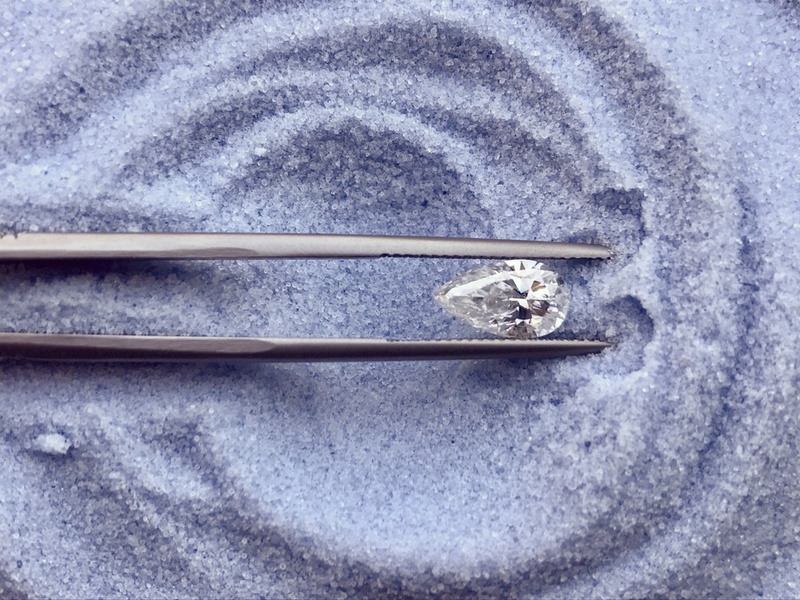 If you look very carefully at moissanite gemstones under natural light, you may notice they might have a slight yellow or gray hue compared to diamonds. Both diamonds and moissanite gemstones rank very highly on the Mohs Scale of Hardness, (the standard measurement of hardness for all gems). Diamonds have a perfect 10 rating, while moissanite gemstones have a 9.25. This is actually a higher rating than any other gemstone used in jewelry, besides for diamonds. That’s right, moissanite gemstones are considerably harder than sapphires, rubies, and emeralds as well as imitation diamonds (i.e. cubic zirconia). This excellent hardness rating makes moissanite rings great for everyday wear. 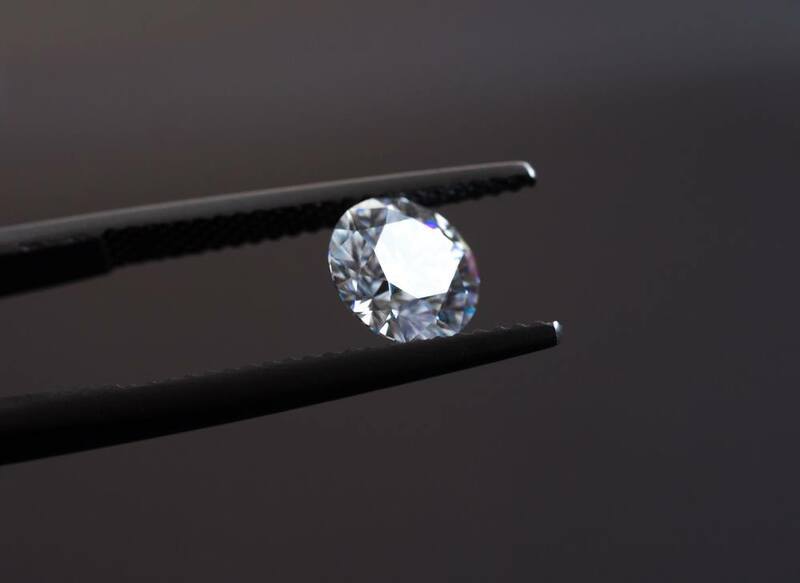 The differences between moissanite gemstones and diamonds can be very difficult to distinguish, even for people in the industry. Now you are empowered with the knowledge of the differences in brilliance, chemistry, color, and hardness. If you are looking for an affordable wedding set, you may have just found the best option!